This entry was posted on Tuesday, June 28th, 2011 at 11:18 am	and tagged with aeropress, Espresso Lab, Prufrock Coffee, Square Mile Coffee Roasters and posted in Coffee Tools, Thoughts. You can follow any responses to this entry through the RSS 2.0 feed. I’ve recently purchased an Aeropress, and have faffed around with soooo many different recipes! 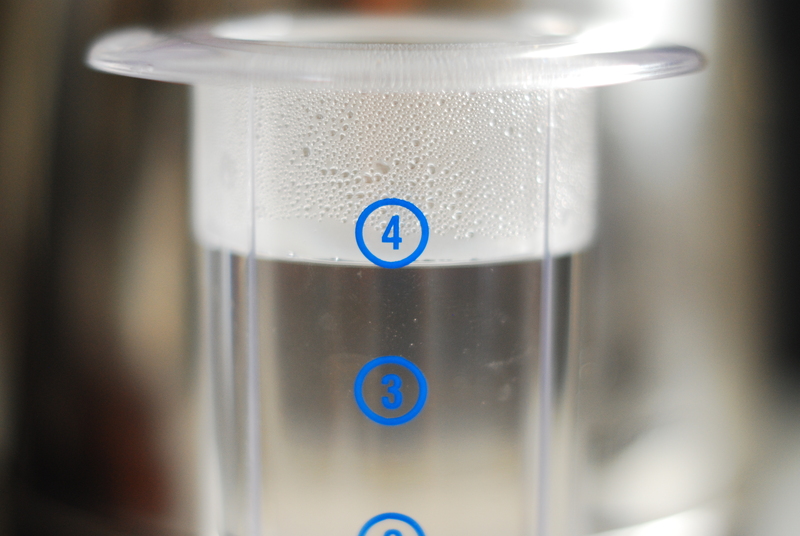 I’ve tried going through all of the simple step ones on http://worldaeropresschampionship.wordpress.com/recipes/ – I believe that using this thing should be all about simplicity – and have tried a few on brewmethods.com. It’s pretty amazing how many different doses, grind styles and contact times you can find for this one little machine! Finally, I think I’ve settled on – flavour wise – using something I read on the kaffeologie website (a link that I can no longer find) where they brewed 12g (!) of coffee coarsely, use 200g of 95C water and had a total contact time of 3:30 – stir once at :30, once at 2:00 and begin pressing at 3:00. I’m happy with the flavour – it seems to be sweeter than other methods I’ve tried, even though in my brain this doesn’t make sense. Whilst I’m pretty happy with the result, I think the method takes too long, and I’ll be trying your method the next time I have a coffee! Which leads me to another point – have you ever thought of making a video of this method? I know it’s simple, but everyone *loves* a nice, short and sharp instructional video. Great blog, your enthusiasm for the bean pretty awesome! Thanks for your comments. 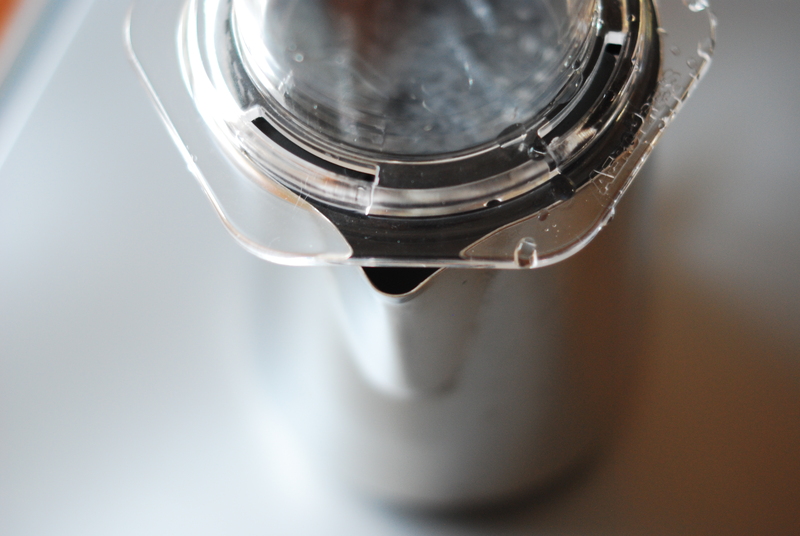 I’ve actually changed my aeropress preparation – I’m making one now. In summary it’s 15g medium grind, with 92C 215ml hot water, with aeropress inverted. 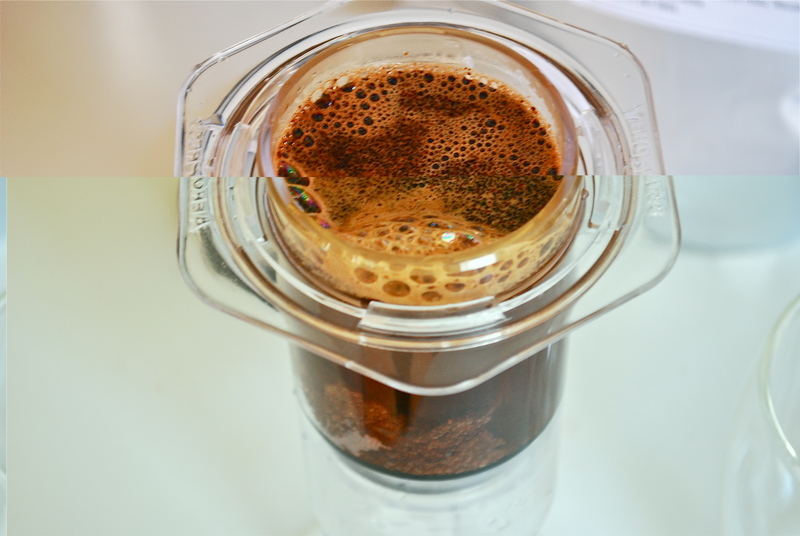 Pour half the water into aeropress with grinds, stir 5 times, then pour the rest, cover for 1.30 minutes, turn upside down and press. Video soon God willing. 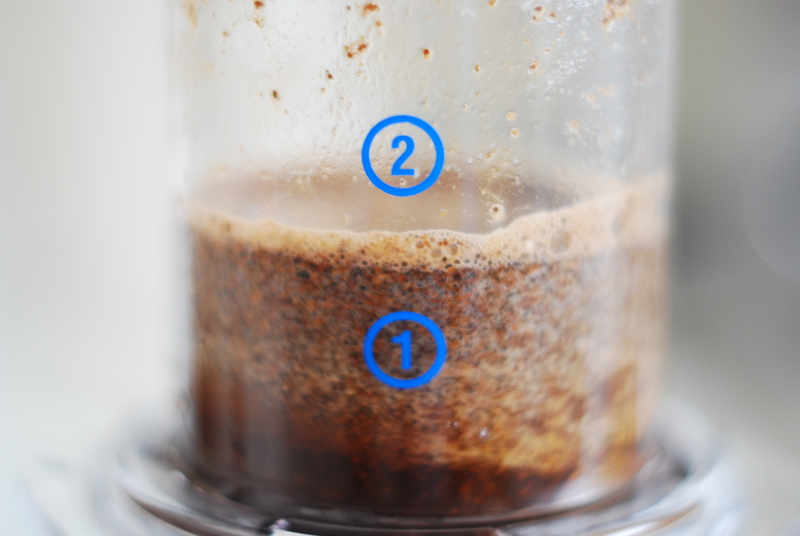 I tried your method 2 ways – once with the grind about 6 steps on my Hario Skerton, and then once with it at 5. With 6 it was quite sour, and on 5 it had enourmous amounts of sweetness straight up, but probably too much bitterness on the finish. I wonder what I did to get such a massively different result? Ill keep playing, but it shows promise.